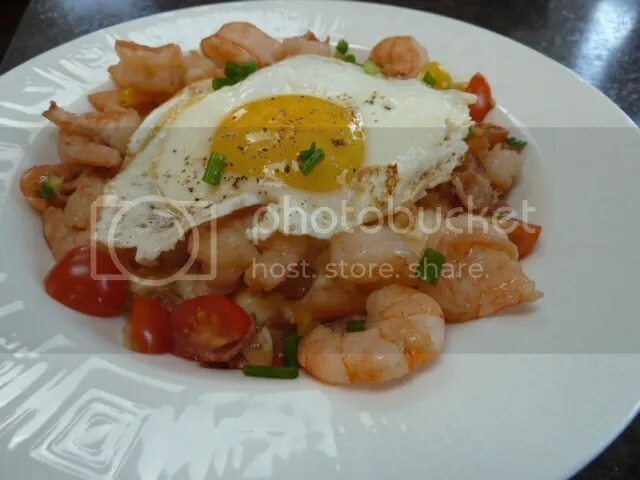 This is the best comfort food that you will ever eat, Looking to make something that was both good and fancy enough to serve for guests in the morning instead of the usual eggs, sausage and hash browns. And I guess I hit the right notes. Since I got raves about it. 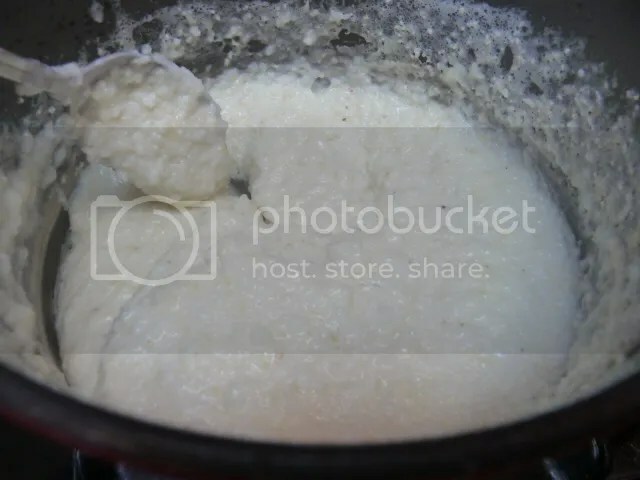 Mix grits, milk and butter in a pan and bring to a boil. Turn down to simmer and simmer for 5-6 minutes mixing constantly so grits will not stick to pan. 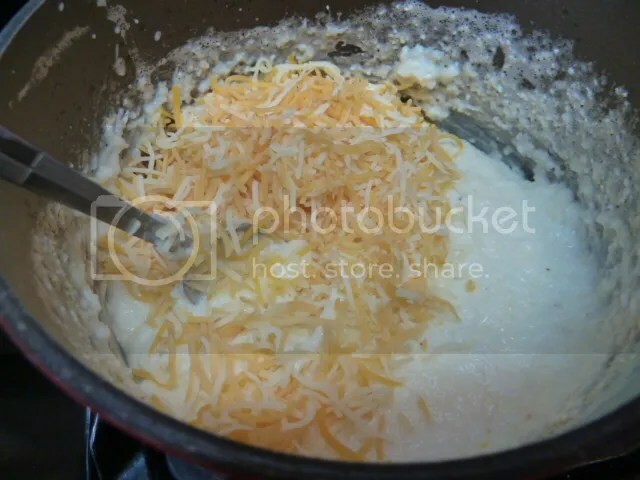 Add Cheese and keep on mixing until cheese is melted and grits are the consistency of cooked oatmeal. 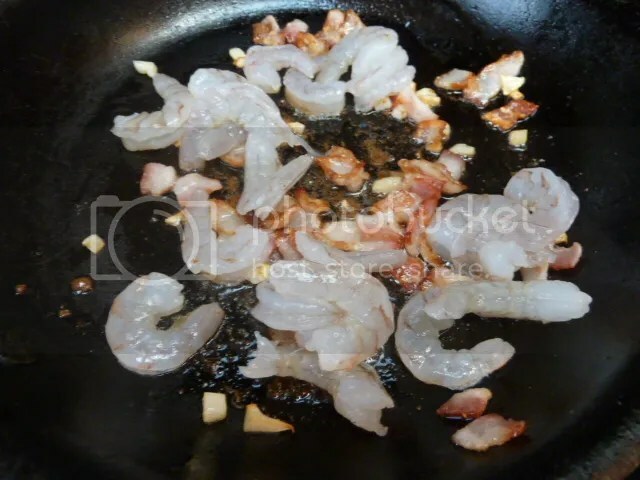 Slice bacon into bite size pieces add to skillet, add garlic and saute for 3-4 minutes or until bacon is turning crispy add shrimp and beef stock. saute another 2 minutes. 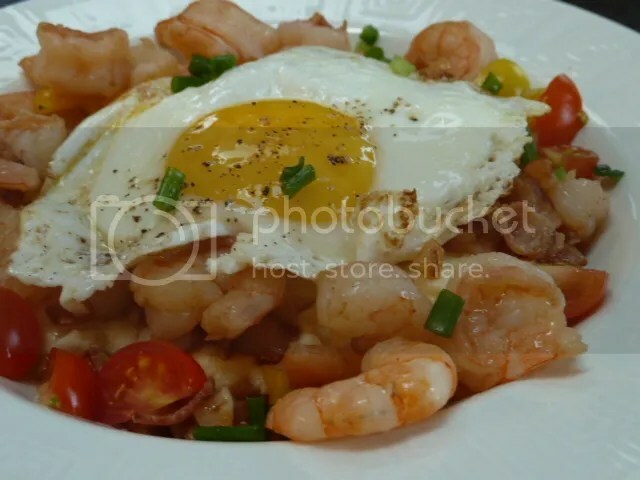 fill two bowls with grits, add shrimp topping on top and top with egg. Garnish with tomatoes and green onions. will make two bowls. If serving in smaller portions will make 4 bowls but add 2 more eggs.